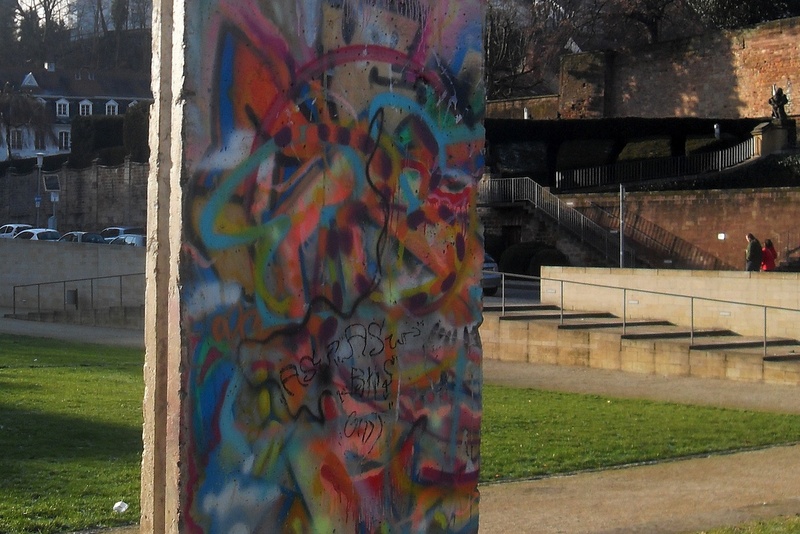 On the occasion of the 20th anniversary of the fall of the Wall, the Axel Springer SE donated a segment of the Berlin Wall to each federal state. 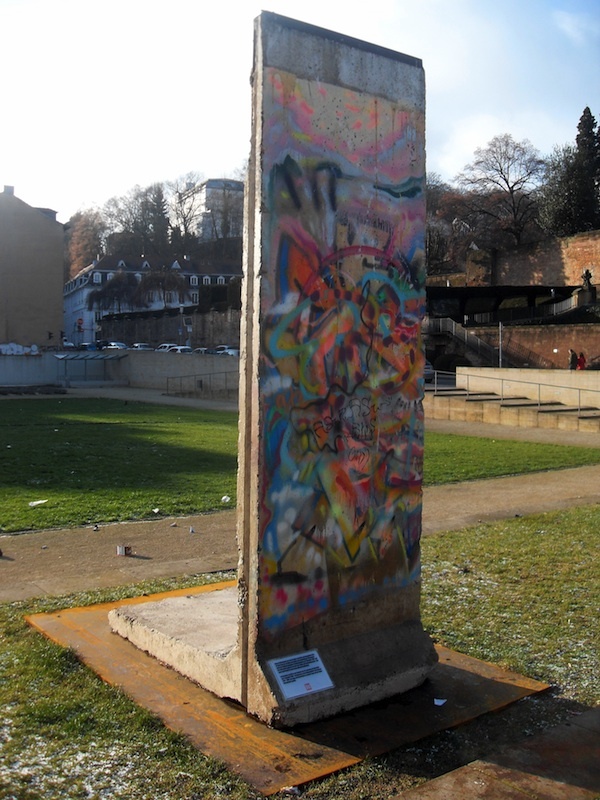 The Saarland was the first federal state, that was given a Wall segment. 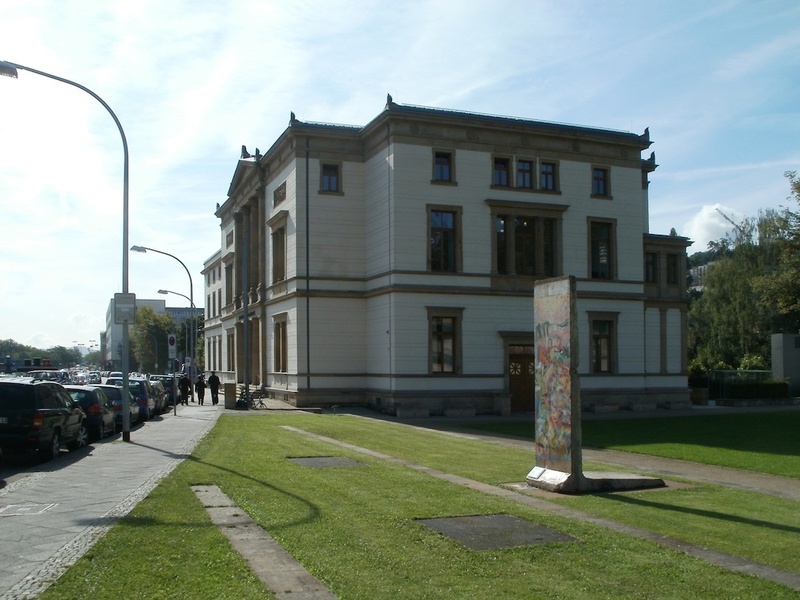 It was erected in August 2009 in front of Saarland’s State Parliament in Saarbrücken.